IFTTT It is very easy-to-use and can be configured via the official website or mobile companion application. Actions available from your Sonos devices include basic playback control, pause/resume/next/previous, and volume controls including up, down, mute and unmute. 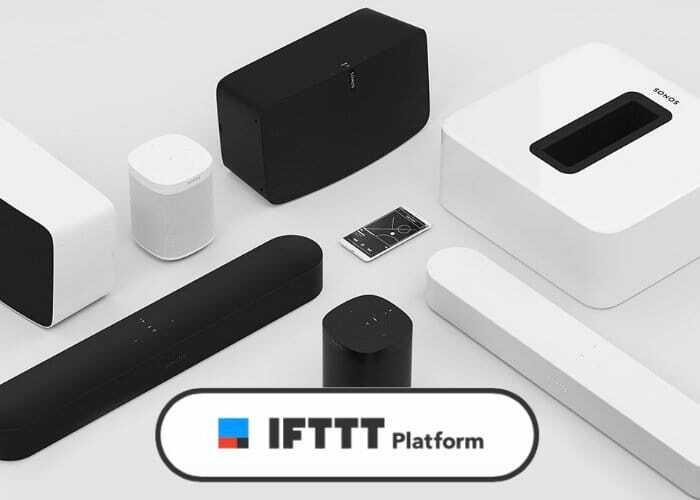 IFTTT can also be used to start playing a pre-defined Sonos Favourite or song, album and artist playlist.